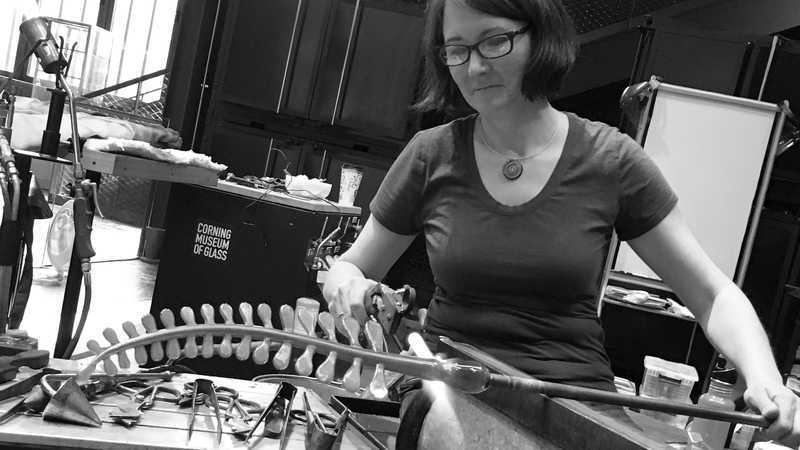 Tune in to watch guest artist Jen Violette in a live, narrated demonstration in the Amphitheater Hot Shop. In this demo, Violette will create a large fern leaf out of molten glass. Jen Violette, inspired by her grandparents who were studio artists themselves, began creating in early childhood. Now Violette lives on a small farm in Vermont and is inspired by the natural land. Much of her work focuses on her own vegetable and perennial gardens.